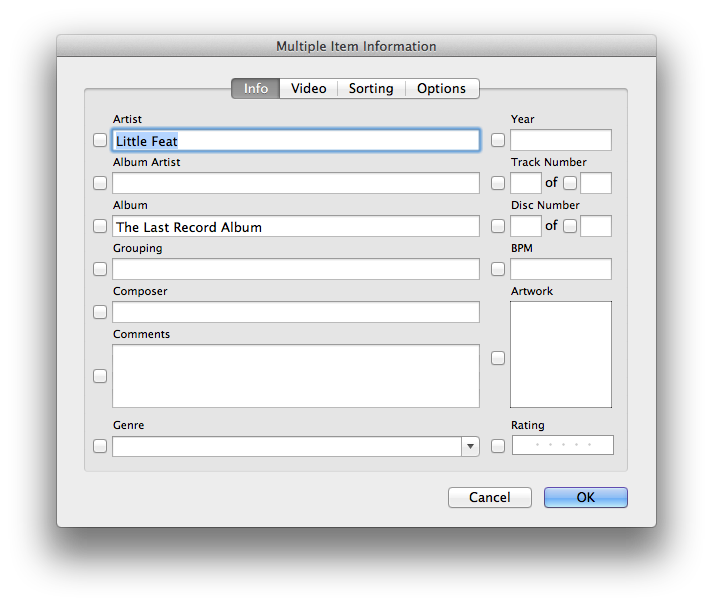 Computer notes: What if iTunes "Get Album Artwork" doesn't find everything? What if iTunes "Get Album Artwork" doesn't find everything? 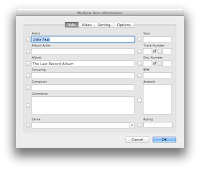 iTunes allows you very easily to locate, download and add album covers for your iTunes music library as explained here. However, for various reasons, it may not find all the covers. A principal reason is if the album name in your library is not EXACTLY as written in the online artwork source. Indeed, you may be able to get iTunes to correctly locate an album cover by searching the correct album (and artist) name on the internet, updating your library appropriately and trying Get Album Artwork again. If, however, this still doesn't allow you to get all the album covers you need, you can add whatever you want manually as is actually described in the second part of the above link. What I did was to locate the album on Amazon, search for the album. When found, I dragged the cover .jpg file to my Desktop. Then in iTunes, open the Music folder under the Album tab using the Grid option. Now right-click on the album to which you want to add the cover, click Get Info. Then drag the .jpg from the Desktop to the Artwork section in the Get Info window. Next OK and you're done.